Honolulu is the vibrant epicenter of Hawaii where you’ll find historic landmarks and monuments, world-class shopping and an arts and culture experience. Apart from this there’s the nightlife, fine dining and underground bars to explore. There’s much romance and nostalgia to this charming island. What’s Hawaii without a trip to one or more of their amazing beaches. There are plenty of beaches to choose from but the major beaches to visit are Kualoa, Kahana, Punaluu, Kokololio, La'ie, Hukilau, Malaekahana State Park, Turtle Bay, Kawela Bay, Sunset, Ehukai (home to Banzai Pipeline), Sharks Cove, Waimea Bay, Turtle Beach aka Laniakea, Hale'iwa and Mokuleia. Don’t forget to soak up some of that sun. 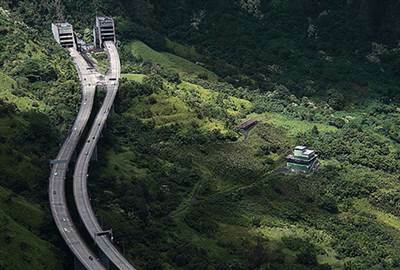 There are many scenic places in Hawaii and among them gorgeous waterfalls such as Manoa Waterfalls where you can hike and take in the gorgeous terrain on the way. Getting up 150 feet you’ll be in awe of the breathtaking views. Hawaii is home to some of the most historic places in all of Hawaii. The largest museum, the Bishop Museum and Pearl Harbor are the most notable places to visit. 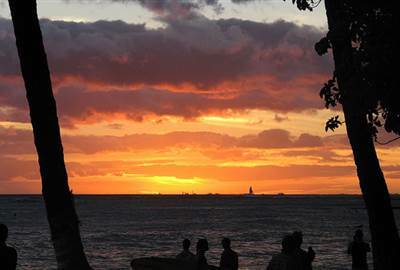 Sights to see are the birthplace of King Kamehameha, the site of Captain Cook’s death, and many more. The popular North Shore can be found in Honolulu, Hawaii where waves can reach as high as 30 feet. The surf here is one of the most captivating swells you can experience. 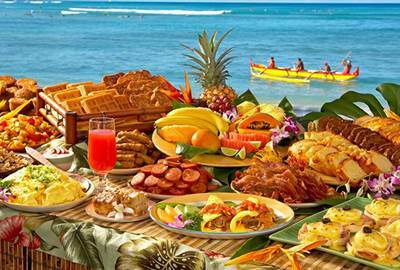 Luau’s on the beach are a Hawaiian tradition you need to fit into your schedule. You’ve got hula girls and boys dancing to groovy tunes, a kalua pig and poi for dinner, and an amazing landscape as your background. A trip to the beautiful island of Honolulu gives you white sandy beaches, volcanoes, and a view of the Polynesian culture. 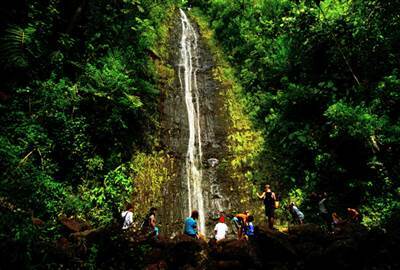 Taking a stroll through a scenic park, go on a hike, and learn about Hawaii’s rich history. 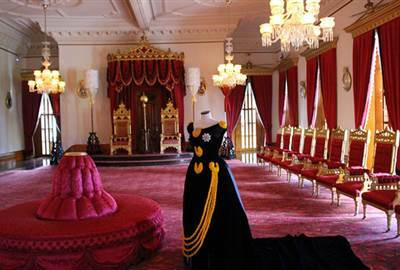 Ancient regalia and precious jewelry might not be what you’d first associate to Hawaii, but you probably haven’t heard about the ‘Iolani Palace yet. The palace was a symbol of promise for the Hawaiian Kingdom from King David Kalakaua, and a beautiful one at that. 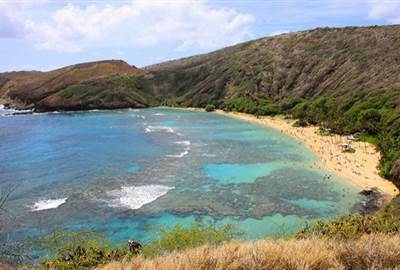 Voted #1 beach in the United States for 2016, Hanauma Bay receives an average of 3000 visitors per day. Formed within a volcanic cone, a pristine marine ecosystem and clear, blue waters continue to entice locals and tourists alike to snorkel. 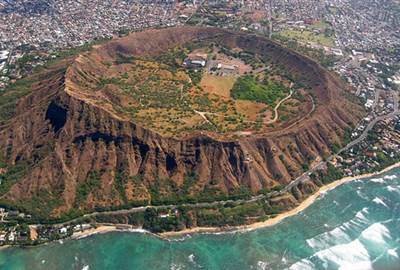 While ancient Hawaiians called it Laeahi which translates to “brow of the tuna”, it is because of British sailors mistaking calcite crystals on the extinct volcano’s crater to be diamonds that Diamond Head came to be called as so. Classified as an easy hike, this 150-foot waterfall will still take you 45 minutes of climbing over small rocks and struggling to walk on slippery mud. However, be ready to take pictures once you get there, especially when it has recently rained and the waterfall is bigger. Remember to wear proper hiking gear and clothing and just enjoy the nature that embraces Hawaii. 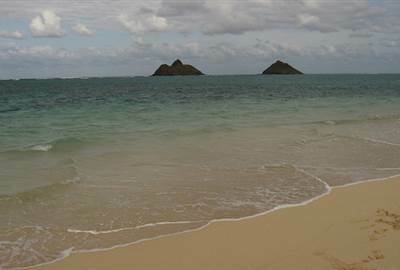 If you find Waikiki Beach too crowded, head to Ala Moana which is also well-loved by locals. Swim, relax, or have a picnic – you have half a mile long of sand and calm waters just to do anything you please. It is especially ideal for swimmers because there are hardly every any waves. Can you believe that it is actually man-made? Good drinks, local music, a lazy Sunday afternoon, and a great vista of the Pacific Ocean. They say Duke’s can easily be the most touristy restaurant in Honolulu, but there should be a good reason why. Go Loca with Highway Inn’s Loco Moco – they’ve been serving arguably the best Hawaiian food since 1947 so make sure not to waste any minute going there because they don’t take any reservations. 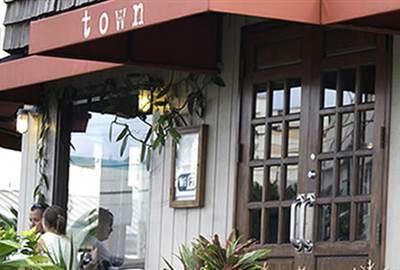 If you’re in Hawaii for everything natural, then embrace nature with organic, farm-to-table and sustainable dining in Town’s. 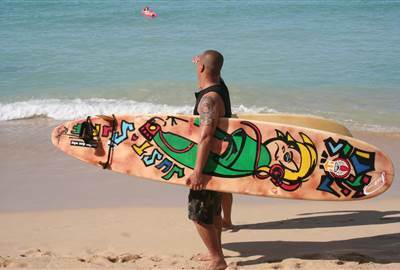 “Local first, organic when possible, aloha always” is their motto. Open round the clock to serve you the fluffiest pancakes and the most buttery waffles since 1950, enjoy Liliha’s feel-at-home baked goods any time of the day. 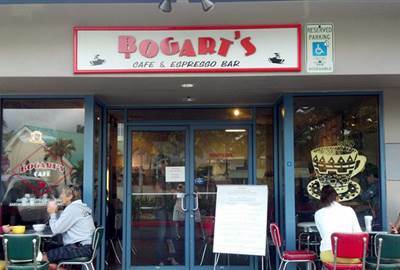 For tried and tested breakfast happiness, try Bogart’s Café. 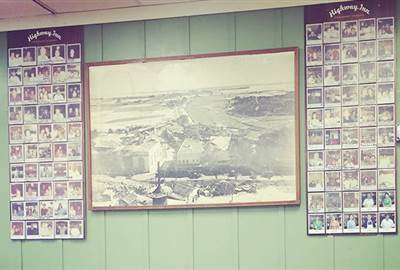 Though you’d have to pay them a visit yourself for their handwritten menu on the wall, everything’s affordable, in large portions, and hearty – just the way breakfast should be! Pā´ina in Hawaiian means “gathering” which perfectly describes the purpose of the Home of the Original Poke Bowl. Their specialty consists of fresh, raw seafood marinated in a sauce of your choice. For your stereotypical Hawaiian dreams, you’ve finally found the place that has it all. Go on canoe rides and catch Hawaiian music shows at sundown. Do some hula while you’re at it, too. Contrary to popular belief not all Hawaiian dishes have pineapple in it. 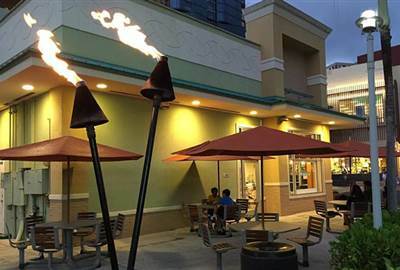 Island dining focuses on fresh seafood creating authentic Hawaiian meals such as kalua pork, chicken long rice, squid luau, poi, laulau, and lomi lomi salmon. 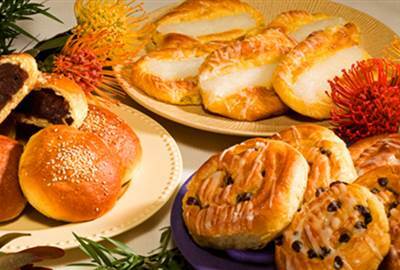 To get the best dining experiences try these restaurants.